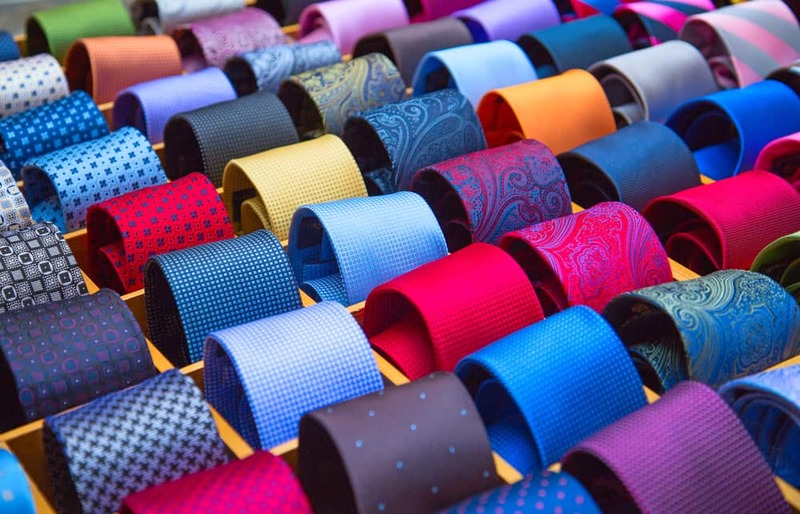 Men’s dress wear has had one accessory staple since the beginning of the twentieth century, the necktie. As vital as ties are to male fashion, they are also likely the most fragile article of clothing we have, made with delicate silk and cloth fabric. Ties are notoriously susceptible to creases and stains, even when you are not wearing them. Storing your ties incorrectly can permanently damage the fabric. Today, Affordable Family Storage will discuss how to properly store your ties whether kept in your closet or a self-storage unit. The first step to proper storage is to completely un-knot your tie. While it may be tempting to simply loosen it and remove in order to save time each morning, keeping your tie knotted can create permanent creases that ruin the clean look you are trying to achieve. After the tie is undone, you have two options for storage. First, you can hang them on a tie rack. This is likely the best option as it is designed to house your necktie. If you do not own a tie rack another option is to roll them from end-to-end starting with the skinnier end. Then place them, rolled, into a box or plastic bin. Storing your ties in a dark, climate-controlled self-storage unit will protect the delicate fabric from fading from light or developing mold while in storage. A climate-controlled self-storage unit is much safer for your tie collection while kept in storage. Self-storage units that are susceptible to humidity changes pose a significant threat to silk, so verify with your storage facility that climate control is an option. You can also cover your ties with a dust bag in order to prevent them from getting dirty. If for some reason your tie does become stained or creased you can apply spot remover or attempt to steam creases to save the tie. Be very careful with excess heat, however, as it can damage the silk fabric. If you are in need of a self-storage unit to store your ties or any other belongings, Affordable Family Storage has the storage solution for you. Our climate-controlled self-storage units are ideal for keeping delicate items like neckties safe and secure. If you have questions regarding our self-storage options, call us today at 515-325-0248 to speak with one of our professional representatives. If you prefer, stop by our facility at 3400 E 33rd Street in Northeast Des Moines, IA. Come visit us and we’ll help choose the perfect storage unit for you.